DetHave you analyzed the strengths and weaknesses of your social media strategy lately? There is so much that is written every day about the pros and cons of social media. Similar to the mythical “force” of Star Wars fame, there is both a “dark” side and a “light” side to social media. On the negative side, you might hear about the horrors of social media addiction. “It’s too pervasive, isolating, or too easy to mislead with false information.” Those all are charges which have been leveled and indeed need to be addressed. On the light side, the benefits of social media, when used judiciously and wisely, can far outweigh any of the perceived negatives. When put into the hands of someone with a noble cause, social media plays an integral role in spreading awareness, creating support, and raising funds. And that is what we hope to accomplish with Kontentino, an intuitive social media tool for agencies and clients. Because it is such an easy way to manage and approve social media channels, users can invest more time in verifying information and providing accurate input, and less time following complicated e-mail threads. Our mission is to build on our strengths and help improve the quality of social media content. Ease of organization: All social media posts are perfectly organized in one convenient location, so you can manage everything from one visual calendar. This means all posts are visible, cannot be unnecessarily duplicated, and must go through the approval process before they get posted to social media outlets. Live post previews: Clients and members of the social media team get to see posts as they will appear on Facebook. No surprises once the approval button is clicked! Approval confirmations: The social media agency will never hear from a client that a Facebook post appeared without their approval. Instead of having to sort through long e-mail threads, update cumbersome Excel spreadsheets, or pore through Google Docs to make comments, clients can simply post their input and ask for revisions before giving the final go-ahead and approval. Simplicity plus: Clients aren’t always at their desks waiting for updates on their content marketing strategy. 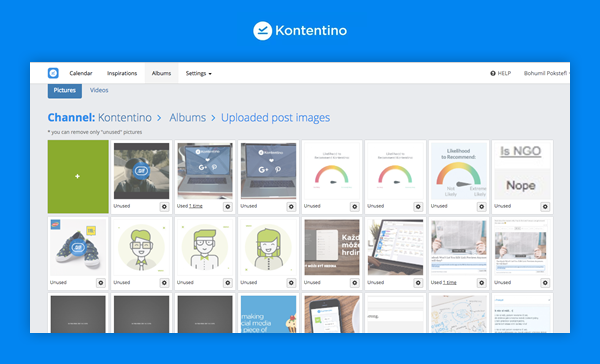 Kontentino features an intuitive and convenient client interface for quick content approval, with just one click. Insights and reporting: No Facebook marketing campaign should ever be implemented without a proper tracking, analysis and reporting component. Kontentino makes it possible to see how Facebook posts are performing what posts are performing the best based on the metrics you select, learn if anything has gone viral, and create PDF reports for further review. Instagram scheduling: Perhaps one of the most challenging aspects of social media is trying to schedule Instagram posts. 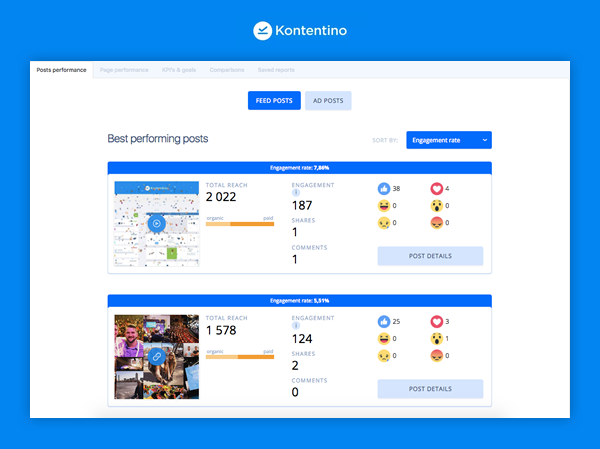 With Kontentino, you can create the post, get it reviewed and scheduled, and receive a push notification to your smartphone when the Instagram post is ready to be published. Kontentino allows for all Instagram formats including videos, slide shows and Instagram stories. Control Facebook boosts: Users can set boosting for scheduled Facebook posts in advance. These are exported directly to Facebook, and automatically entered into your Facebook scheduling queue. By using the convenient Ads Manager or Power Editor, you no longer have to wait for posts to be published before you can set a boost budget. 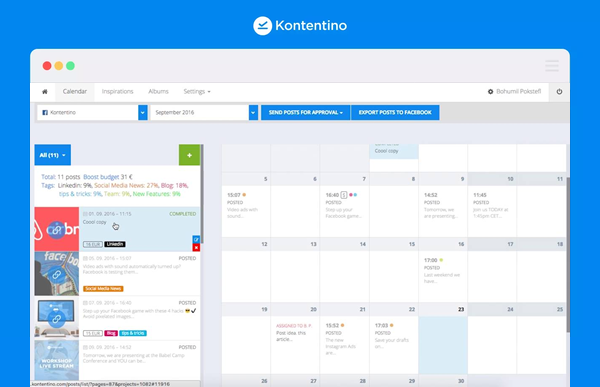 Best of all, we have made it super simple to try Kontentino and see for yourself how easy content creation and planning can be. We are offering a thirty day free trial, where you can get access to all our convenient social media scheduling features. You won’t have to pay anything or enter your credit card information; simply sign up and start seeing how simple social media can be. At the end of the trial, you decide if you want to continue to use our service by entering your billing information. Choose from our one-month subscription, the six month plan with a 5% discount, or our one year subscription with a 10% discount. Payments may be made by credit card, PayPal or SEPA bank transfer. Check our pricing page for available plans which start as low as $10 per month for one social media profile with up to three users. Tailored plans to meet your specific needs are also available. There are so many types of social media and so much more that can be done now on Facebook, Instagram, LinkedIn and Twitter to capture the attention of a target audience. 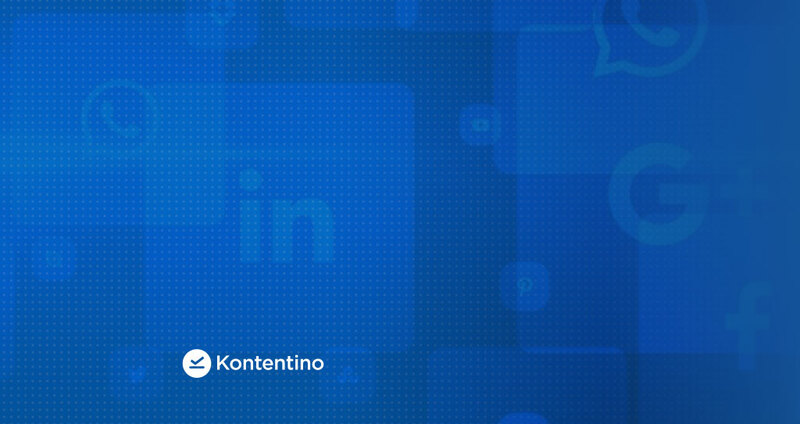 Don’t get drawn into the dark side of content curation – use Kontentino to harness the positive forces of today’s social media tools. 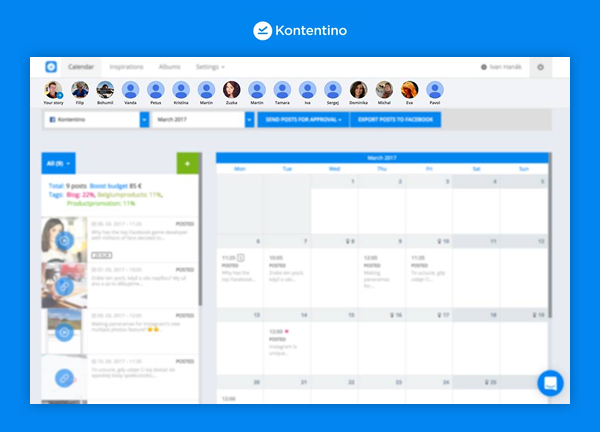 Kontentino is a social media management tool which enables social media managers to seamlessly collaborate with clients on and approve social media content and ads. It has been ranked by Capterra in the Top 20 of Most Popular Social Media Marketing Software, and is a G2 Crowd 5-star “High Performer” for Spring 2018. Visit the website at https://www.kontentino.com to sign up for a free trial or request a demo. “Like” the Facebook page to receive tips on developing, implementing and tracking a social media marketing strategy. A tip: To sta up-to-date on social media trends and changes, follow some of the 50 best social media blogs.